This particular song from the Songs of Sermonettes was recorded by myself and a 10 year old little boy in NC. His name just happen to be Sammy I found out on the day of the recording. How ironic God would send me a Sammy to read the child's part! God is so good and give us wonderful surprises from time to time! us for Lyrics and Soundtracks. 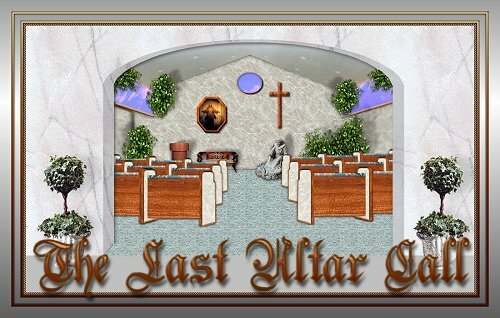 This song playing,'The Last Altar Call' along with 9 others are available for possible recording by you or your Gospel Group. Contact Olyn or Connie Burrow for more information, lyrics and soundtracks. *Note-The Sermonette playing on this page is now a Recitation Gospel Song on CD available for possible recording contract, along with nine others. Please Email Olyn or Connie Burrow for more Information! We pray you will listen and be touched by the truthfulness in this child's words. I would like to dedicate this Sermonette and song to Alexander, or Alex in WVA, as we have had the awesome opportunity of meeting him online and learning of his illness. He's such a little prayer warrior! He has a very rare, incurable disease and its a mriacle he is still here today. Alex, we love you sweety....and we know God's Angels are watching over you every minute. 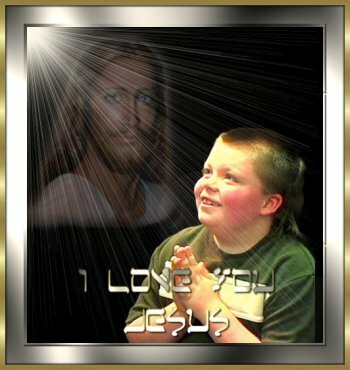 We all love you here online and are praying for you daily. Please take a moment to let me know what you thought of this song. I would love to hear if you were blessed, and pls mention the title in your comments .Thank you so much. You'll never know what it will mean to me.